Santiago de Querétaro is a mixture of modernism and colonialism. It is the 3rd highest growing economy in Mexico. Throughout its 18 municipalities, Querétaro has an extraordinary mixture of traditions, culture, vitality and growth; allowing it to have an unparalleled quality of life. It is impossible to think of México without thinking of Querétaro. Located strategically at the center of the country, the State has an overall extension of 11,688 km2 and a population of over 2 million inhabitants. When compared to other states, Querétaro is not one of the largest in terms of territory, yet it has one of the most dynamic economies. The State has received various awards from international firms such as Standard and Poor’s, which granted Querétaro the recognition of being the first state in Mexico to obtain an investment grade qualification. KPMG selected Querétaro as the first choice for companies to invest in the country. The Foreign Direct Magazine positioned Querétaro in 2nd place as “Overall Latin American City of the Future 2017”. According to the National Competitiveness Institute (IMCO), Querétaro ranks 5th in State Competitiveness nationwide and 1st place in innovation in the country. In the last five years, the average growth of the Gross Domestic Product has been of 5.1%, well above the national average, which ranges around 2.35%. Querétaro has a strong presence of national and international companies, mainly in the Automotive, Aerospace, Information Technologies, and Biotechnology sectors. Over 45 Industrial Parks located in the State contribute to build these industries. The Automotive Sector represents 28.5% of Querétaro´s exportations, being the most consolidated sector and the main employer in the entity. With over 50,000 employees, this sector has a strong impact in Tier 1 and Tier 2 suppliers. Querétaro is a strategic logistics hub for the “Bajío” Region, near the OEM´s located in neighbor states. The Aerospace industry has experienced a significant growth in the last 10 years. 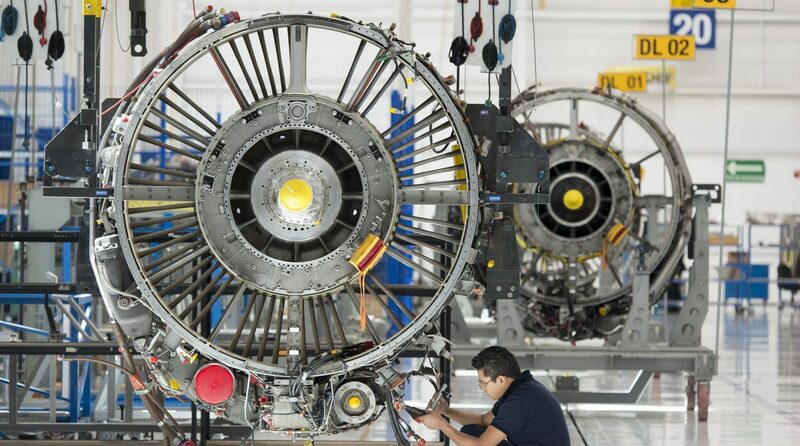 Querétaro is the 4th place for “Top Cities of Investment in the Aeronautical Sector” worldwide (Source: FDI Magazine). The Aerospace Complex consists of an Intercontinental Airport with international passenger and cargo flights, the Aeronautic University of Querétaro, the 2nd largest MRO in America, a brand new National Center for Aeronautics Technologies (R&D), and 4 industrial parks holding recognized international companies. Regarding the IT & services sector in Querétaro, there are more than 100 organizations in the IT Cluster. Being the 4th software developer in the country, 15,000 employees specialize in microelectronics, multimedia, consulting services and software development. Companies that arrived to Querétaro at the beginning of its industrialization in the 1960s belong to the Biotechnology industry. The State can proudly say that those companies are still in the entity. This sector is made up by 41% Food & Beverage, 33% Chemical, 22% strictly Biotechnology, and 4% Pharmaceutical companies. Many countries including the USA, Germany, Canada, Spain, France, South Korea, Japan, the Netherlands, China, among others, have shown interest in investing in Querétaro. In 2017, a total of 57 investment projects were formalized, representing an investment that exceeds $774’437,054.86 USD, and creating 11,475 new jobs. In 2017, businesses in Querétaro created 42,987 jobs, foreign companies creating 26% of these jobs. Querétaro’s infrastructure has always been technologically advanced. The city is known for its 75 ft tall, 4,200 ft long aqueduct with 74 arches finished in 1723, a feat of advanced civil engineering at the time. Today, most of the state’s economic and infrastructure growth generates from the capital city. The highway system connects Querétaro with other industrial cities in the country, with the US (a 9 hour drive), and South America. It supports a significant amount of international transportation of goods, and is maintained by an inner customs office that facilitates the shipment of manufactured products to foreign countries. Queretaro has over 2000 miles of highways and 300 miles of railroad tracks. The Bus Terminal is a transportation point for individuals travelling between the northern and the southern regions of Mexico. Public transit moves 550,000 people daily in the state. Whereas most Mexican states invest between 5% and 7% of their annual budgets on transportation infrastructure, Queretaro has historically spent up to 16%. As part of the Triple Helix Model, the State of Querétaro strongly emphasizes education. With over 89 Higher Education Institutions, students graduate highly skilled and ready to work in any of Querétaro´s industries. This skilled labor force is developed through Querétaro´s 102 Training Centers, 28 Technical High Schools, 13 Community Colleges and 30 Research and Development centers throughout the entity. One of the State´s success stories in this area is the foundation of the Aeronautic University of Querétaro in 2007. Based on the emerging aeronautical sector during this time, UNAQ was created. Since its establishment in Querétaro, more than 6,500 specialized technical students have graduated from the University. The Polytechnical University of Querétaro specializes in the automotive industry. The UPQ Automotive Lab houses research and development for a number of enterprises. Querétaro is also home to Arkansas State University, the first U.S. University in Mexico with an American-style campus. Querétaro has an unparalleled quality of life. This is confirmed by the daily arrival of 67 people that come to live to the State. Safety is of the utmost importance, with 332 police officers per 100,000 inhabitants, a number higher than the UN recommendation of 300 officers. Endless recreational activities are available in the State, including 3 UNESCO World Heritage Sites, 272 cultural venues, five Certified Magical Towns, 25 vineyards, several country clubs, polo clubs, golf courses, among other. Querétaro has an ever growing foreign community. Just in the First Quarter of 2017, a total of 578 residents of different nationalities arrived to live in the State, compared to 2016´s total of 572 new residents. The Foreign Community adds up to 9,000 expats. There are more than 1,500 national and foreign companies operating in a safe and reliable business environment in the beautiful State of Querétaro. We invite you to explore Querétaro at Hannover Messe 2018, where you will witness the most successful business stories that have been forged through the Triple Helix Model with the summed efforts of the Industry, Government, and Academia. You will want to be part of this prosperous Mexican State: Querétaro is the way.